Martha joined Watsi on May 19th, 2016. One year ago, Martha became the 3137th member to automatically support a new Watsi patient every month. Since then, 1,969 more people have become monthly donors! 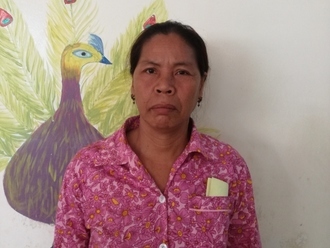 Martha's most recent donation supported Somab, a woman from Cambodia, to fund spinal surgery. Martha has funded healthcare for 22 patients in 8 countries. Somab is a woman from Cambodia. Somab really likes to cook and go for walks with her family in her free time. She developed a curve in her lower spine about two months ago, which is progressing, making it difficult to sit for long periods, and causing a lot of discomfort. Surgery can help correct the position of her spine, and prevent further worsening of the condition. Surgery is scheduled for Mach 13 and will cost $930. She says, "I hope that after my surgery, I am able to go back to work and take care of my family without having any pain or difficulty." Salman is a young boy from Kenya. He is a happy and curious boy. Salman’s parents are pastoralists and live in the North Eastern region of Kenya. He is the second born of three children. Salman was born with hypospadias, a congenital abnormality that causes urinary dysfunction. Without treatment, he will continue to experience uncomfortable symptoms and will be at risk of infertility. Fortunately, Salman is scheduled to undergo corrective surgery on January 23. Our medical partner, African Mission Healthcare Foundation, is requesting $700 to cover the total cost of his procedure and care. “I do not know what I will do should my nephew gets assistance. It will be an answered prayer for me and for his parents,” says Salman’s uncle. Sary is a woman from Cambodia. She has been married for 28 years. She likes to watch TV in her free time. Sary developed back pain about ten years ago, which is progressing with age, making it difficult to sit for long periods and causing a lot of discomfort. She has spongdylolithesis, which is a slipping of vertebra that occurs, in most cases, at the base of the spine. Surgery can help correct the position of her spine, and prevent further worsening of the condition. Sary is scheduled to undergo spinal surgery on November 5. She needs help raising $930 to fund this procedure. She says, "After surgery I hope to have no more back pain. I hope I can walk and work well." 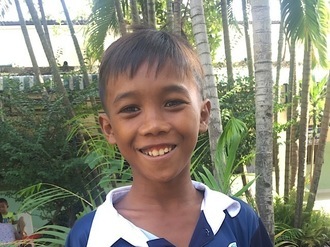 Sok is a third grade student from Cambodia. He has two older sisters. He likes to play football, watch TV, and eat fried pork. He wants to be a teacher when he grows up. A year ago, Sok had an ear infection. This infection caused a cholesteatoma, or an abnormal skin growth, to develop in the middle ear behind the ear drum. For this reason, Sok experiences ear discharge and pain. It is difficult for him to hear and he is in chronic pain. 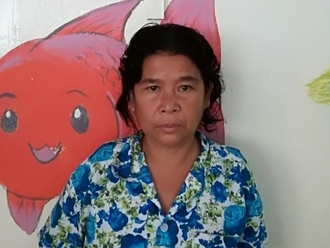 Sok traveled to our medical partner's care center to receive treatment. On September 4, he will undergo a mastoidectomy procedure in his left ear. During this procedure, ENT surgeons will remove the cholesteatoma. Our medical partner, Children's Surgical Centre, is requesting $842 to fund this procedure. This covers medications, supplies, and inpatient care. His mother says, "I worry about my son's hearing and hope the operation is successful." 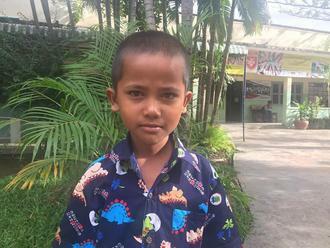 Solideth is a sixth grade student from Cambodia. He is an only child. He likes to study the Khmer language and physiology. He loves to drink orange juice. Two months ago, Solideth was playing and fell out of a tree and fractured his arm. He cannot use his arm and is in pain. Fortunately, surgeons at our medical partner, Children's Surgical Centre, can help. On August 2, Solideth will undergo a fracture repair procedure, which will cost $430. This procedure will allow him to use his arm again. His grandmother says, "I hope my grandson's arm is healed so he can return to school." Margaret is a farmer from Kenya. She is a mother of seven. She lives with her son. 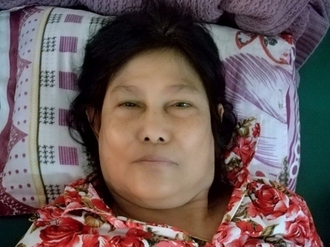 In June, Margaret was hit by a speeding motorcycle while she was crossing the road. The rider of the motorcycle left her unconscious and fled the scene. Margaret was brought to the hospital by witnesses of the accident. She was diagnosed with a femur fracture. Currently, Margaret is not able to walk due to her broken femur. Fortunately, surgeons at our medical partner can help. On June 22, Margaret will undergo a fracture repair procedure, called an open reduction and internal fixation. This procedure will help her walk again. Now, our medical partner, African Mission Healthcare Foundation, is requesting $968 to fund this procedure. “I hope that I will get well soon. I am missing my home," says Margaret.